Dust Tactics is over (some tears 🙁 ). Long Live the King „Dust 1947”. Umarł Król, niech żyje Król. Nowy, w pełni samodzielny Dust 1947. Many thanks to Dust Studio and all Guys (Rule Masters, Challengers, Testers, etc…) who worked on this new Rulebook. I really believe, it will stabilize soon and will stay with us for a long time. 27th of June Dust 1947 became the King and now organizes the kingdom by clearing some rules. You can download rulebook (version 4, 02nd July 2016) from my side, if you want. Finally I had time to read and test a little bit new rulebook. Just to be clear, I used to play Dust Tactics = Grid Dust 1947 and I made Grid Dust 1947 test. It’s good. Below I have added my first impression, comments, suggests concerning chosen rules. No i są, nowe zasady Dust 1947, duża księga (170 stron), zasady na wersji Grid (ex. Dust Tactics) i wersji Griddles (ex. Dust Battlefield) Ciężka robota, gratulacje na twórców zasad, konstruktywnych krytyków i testerów. Tutaj nieoceniona rola Marka Laskowskiego z warfactory.pl. Teraz jest jeszcze czas drobnych korekt. Pewnie w drugiej połowie roku wyjdzie wersja książkowa, z wszystkimi korektami i mam nadzieje, że zostanie na długo. Jednocześnie przepraszam polskich czytelników, za to, że druga część artykułu jest tylko po angielsku. Szykowałem ją z myślą o autorach systemu, dosyć szybko i przyznam, że powstrzymałem się od produkcji polskiego tłumaczenia. Obiecuję przygotować mój komentarz po polsku do finalnej wersja zasad. Póki co, udostępniam wersję 4 z 02 lipca 2016. Previously I played Dust Battlefield v2 few times I really wanted to push Battlefield (griddles) locally. I waited to promised slightly modified rules. But when I read and understood 😉 leader role with some strange rule of Leader to Leader Line of Sight I’m not sure if I go to Griddles version. I expected more flavor of really battle in Battlefield (sorry griddles D47). 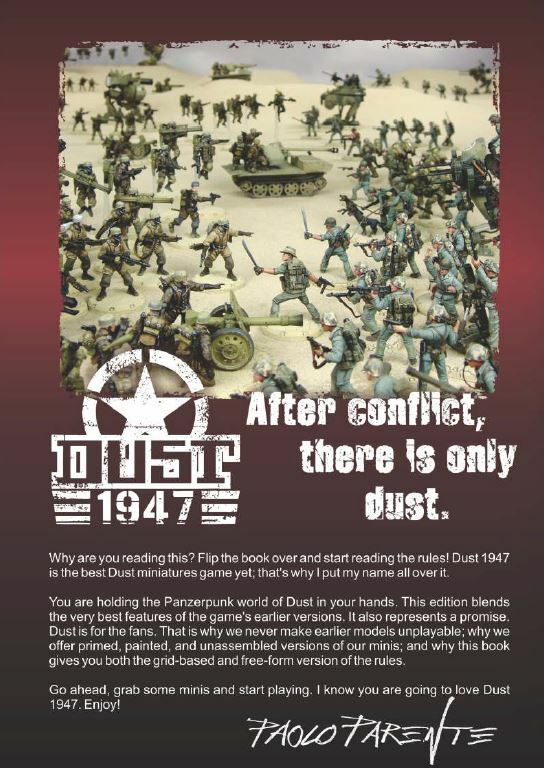 But, thanks God, almost 100% players in Poland play Grid Dust 1947, or rather Dust Tactics v2/Starter rules now. We have started to switch to Dust1947 and my first comments and suggestions concerning changes of rule and abilities are below. I hope that Olivier, Paolo and Rick will take, at least some of them, into account and maybe will add/change/clarify slightly this issues/topics/ideas. Critical Hit – like it & dot :). Needs to be remembered but increase reality. Snipers – Snipers will be in the game now 🙂 but, do we need leaders in Grid Dust 1947. Moreover snipers are to kill leaders or officers or guys with some kind of special weapon. Hope, Rule Masters will take into account my point and clarify this issue? Artillery – The King of Battlefields. I like new rules but I have one question liked with Smoke Screen. I didn’t find information if Smoke Screen also cover 4 adjacent squares (like artillery weapon). How many squares are covered by Smoke Screen, that’s the question? Height Advantage – very shortly. if you higher, you can hit accurately and decrease level of cover, very nice rule. Game starts to be more and more realistic. Suppression – I preferred version without suppression. Fun of DT was linked with simplicity. I saw that two options appeared. Finally suppression combined with just hits nor wounds/kills was published in final (up to day = v4) version of rules. I have to tested, I’m not a fan such a version. Maybe suppression should be considered as option (advanced rule)? Planes – They are in game now. In case of chopper proposed rule is brilliant. I have tested yesterday. My choppers made job finally but…. Planes Line of Sight – to be honest I don’t understand why planes/choppers can see everything. I would vote for rule, that units which are adjacent to building and other high obstacles cann’t be seen by choppers or planes and vice versa if LoS has to be drawn by such an obstacle. That will add more realistic flavor. And please, don’t tell me about simplicity of LoS. Current rules don’t go into simplicity (by adding suppression, leaders, critical hits, etc…). Moreover, such a role seems to be so intuitive for low pass choppers and planes. I think that was in v1 version. Dust 1947 Rule Keepers please, take it into account, that it would increase reality, another dimension like “critical hit” and “height advantage”? Air Assault – I would like to have such a ability for chosen infantry units as well (maybe some Chinese Assault Squads). 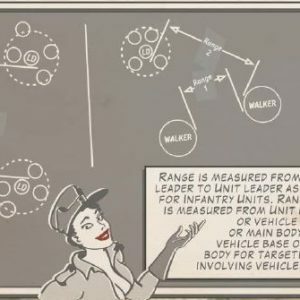 Is it possible to have air assault infantry? Damage Resilient – Sorry, I don’t like new idea which plays now as additional save in case of heroes and vehicles. Only lower number of hits vs. heroes and vehicles my balance this new rules. Otherwise “SSU wolf-packs” and “Wrecker” could be neutralized very, very fast. New DS will cut the wings of SSU forces for sure. 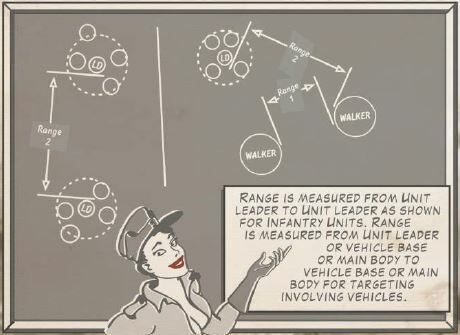 By the way, if you go back to suppression based on v2 version, you should also consider option to go back to previous DS for walkers and heroes. Can you consider this, please ? 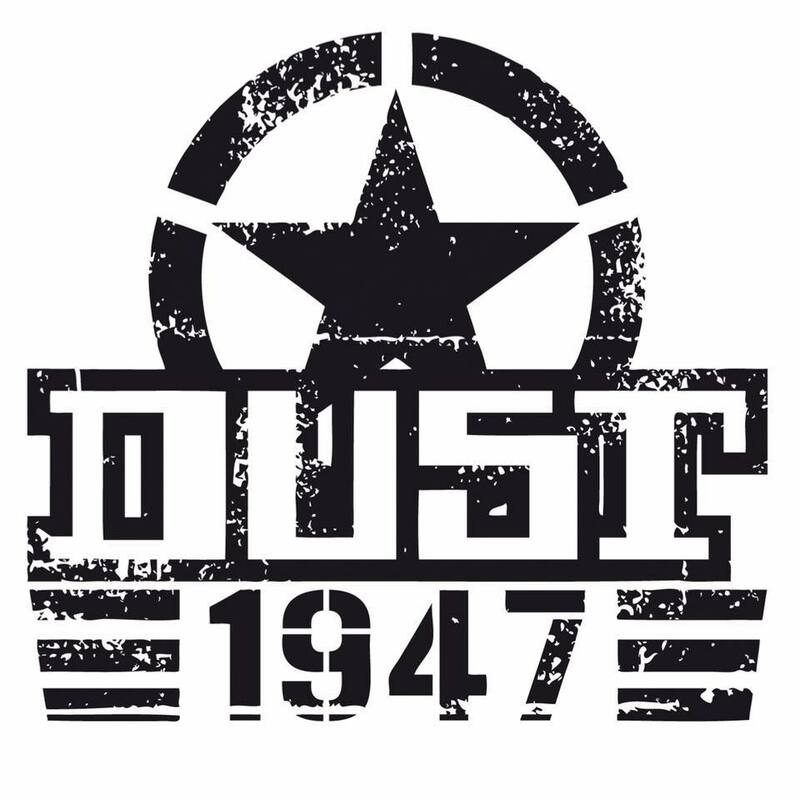 Long live DUST 1947 !! !